March 2017. 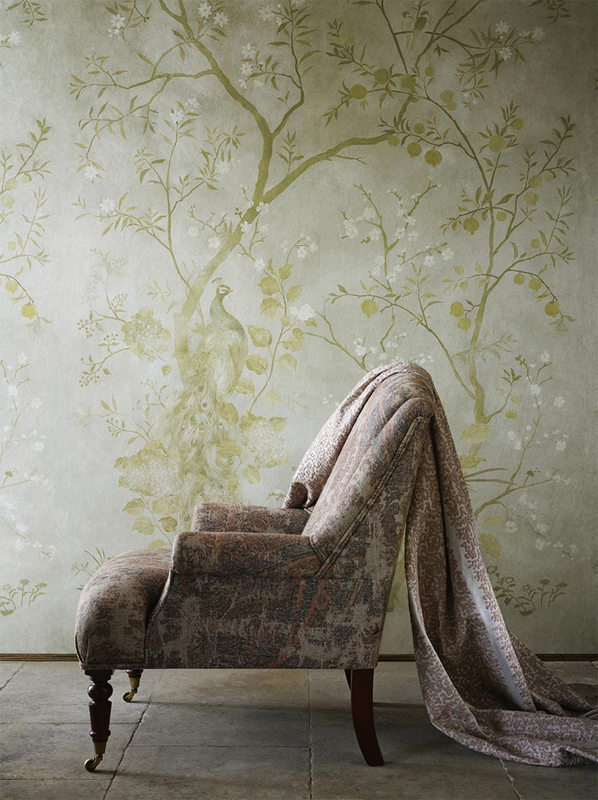 'Rothbury design' for Zoffany as featured in the Evening Standard Homes & Property. November 2016. The launch of Soho House 'Morning Noon Night' book at the Soho fram house. Featured as part Of Lewis & Wood's 'Meet the Makers' section. September 2016. 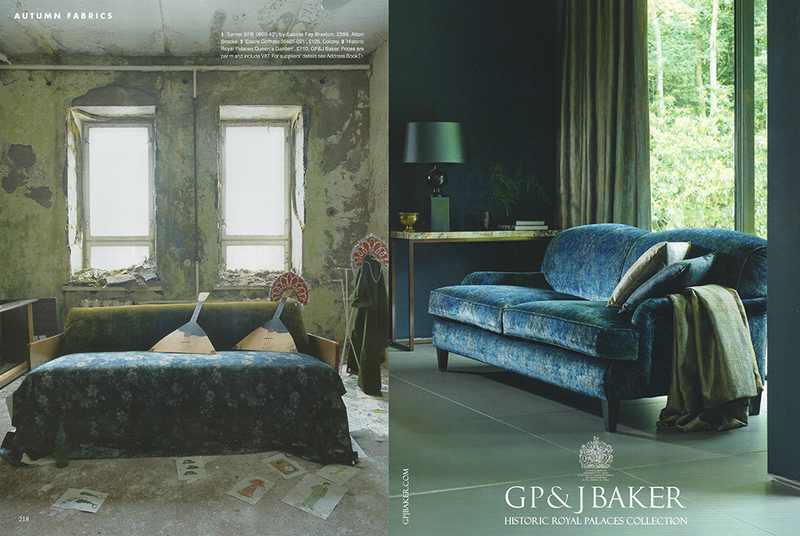 Two designs for the GP & J Baker 'Historic Royal Palaces' collection. 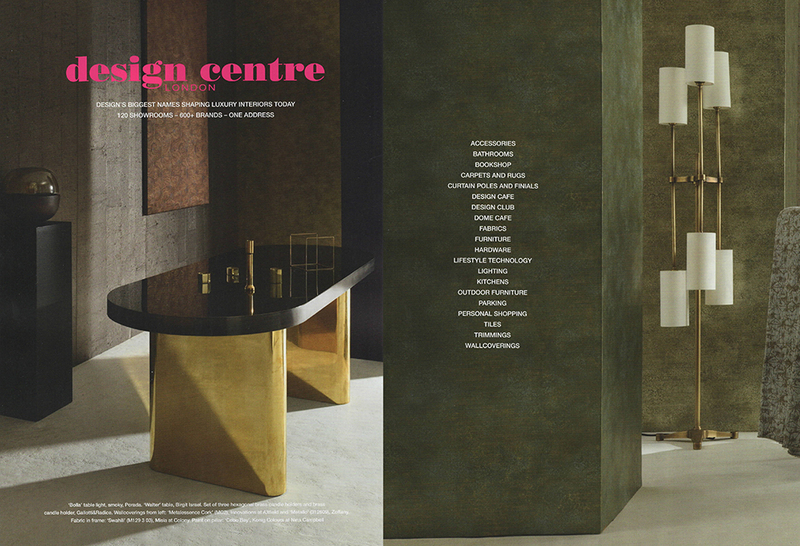 Left; featured in the October 2016 issue of The World of Interiors. September 2016. Focus/16, London. Featuring different shades of 'Metallo' for Zoffany. August 2016. 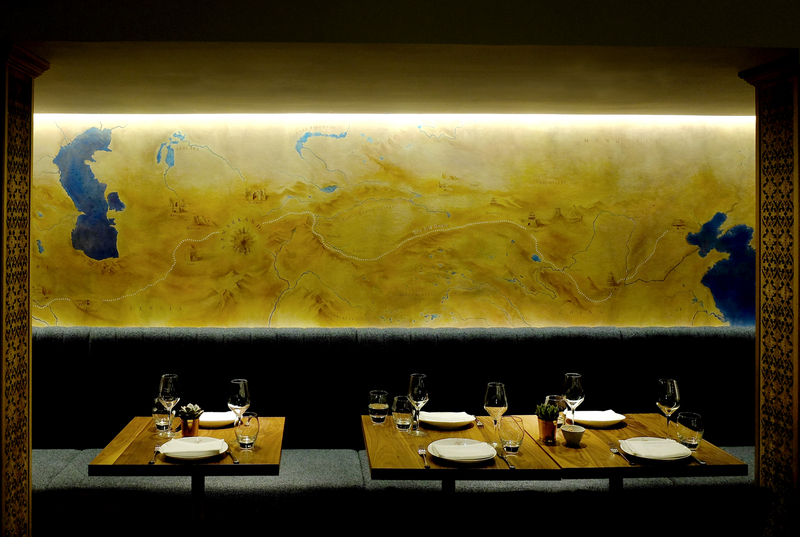 Part of a section of a silk route map for Samarkand restaurant, Charlotte Street, London. April 2016. Alhambra for Lewis & Wood in the Kipling Suite at Brown's Hotel. Featured in the Telegraph. April 2016. Sleeper Magazine. Alhambra for Lewis & Wood at Babington House. April 2016. House & Garden. 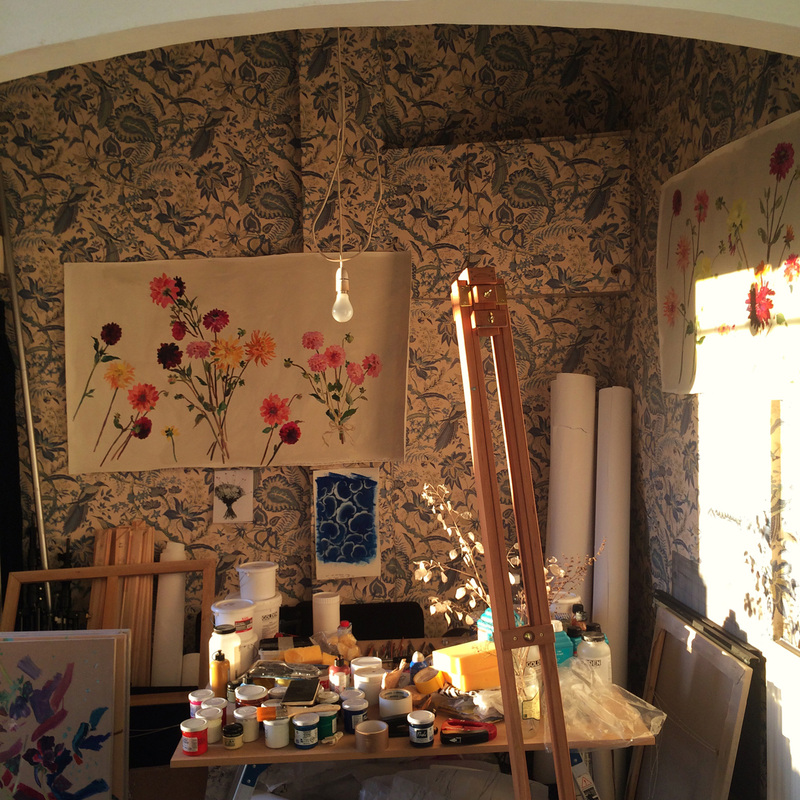 'Pomegranetes & Magnolias' for Sandersons. April 2016. Homes & Gardens. Doves for Lewis & Wood featured in the home of Sara Thompson. Country Life, February 2016. 'Alhambra' for Lewis & Wood. December 2015. 'Insomnia' A 3D postcard for the recent fundraising auction at The Art Workers Guild.